Based on Steven Spielberg’s story and movie of the same name from 1982, Poltergeist is the story of a family terrorized by a supernatural presence in their suburban home. Things go from bad to worse when the youngest, a girl named Maddy, is kidnapped by the lost souls haunting the property. A family of five have recently moved into the house after the father (Sam Rockwell) was laid off at his job. He wants to find work to support his wife’s (Rosemarie DeWitt) writing. Jared Harris plays a TV ghost hunter named Carrigan Burke on a show that the family’s teenage daughter Kendra (Saxon Sharbino) enjoys watching. The younger kids, Griffin (Kyle Catlett) and Maddy (Kennedi Clements) have very different reactions to the haunting. Where Griffin is terrified, Maddy is more intrigued and engages is conversations only she can hear. Many modern PG-13 horror movies are content to just throw bodies at a monster and mix in a few jump scares. 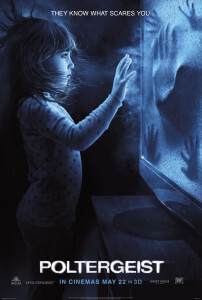 Poltergeist is different in that it is not particularly violent or scary. It is well shot, acted and written with well rounded and likable characters. I found the first act to be very well executed. It establishes the characters and turns up the tension until Maddy’s disappearance triggers the remaining action. However it is here where the tone of the movie falls apart. Maddy is missing, and we have characters smiling and making jokes without much of a sense of urgency. The movie never quite decides if it’s going to be scary or funny and so it manages to do neither. It’s a movie that would have been funnier if it broke the fourth wall and let the audience in on the humor. It would have been scarier if it placed a greater sense of urgency and horror on the kidnapped girl. Instead, they just call in the experts who treat the problem like a potentially dangerous gas main leak rather than a horrifying, life-threatening situation. My bar for PG-13 horror movies is so low that I must give due credit to Poltergeist for getting so much right. It’s not just nonstop jump scares nor is it a mindless slasher-style movie with a parade of characters who only exist to be killed off. Unfortunately, the tone never quite gets scary or funny enough to be memorable despite the positive aspects. 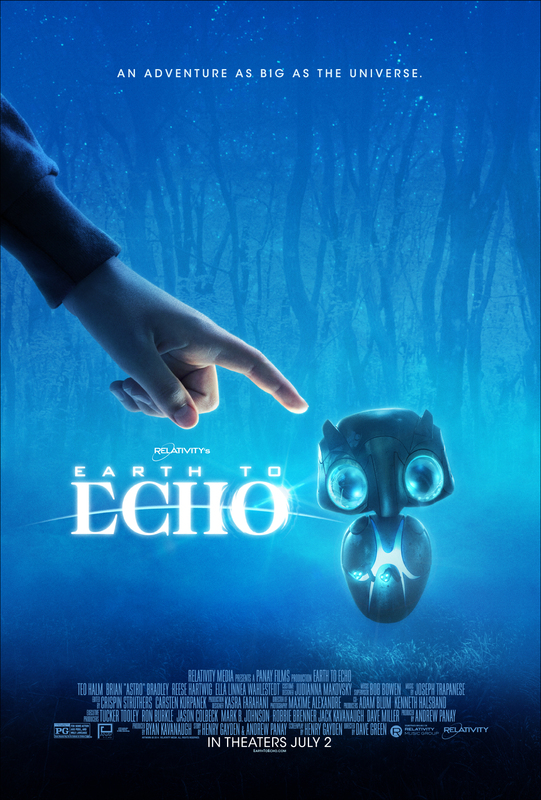 For the high school kids these types of movies are made for, it’s better than most of its peers but may not scratch the itch for a good scare at the movies.